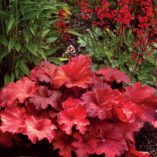 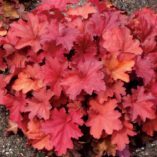 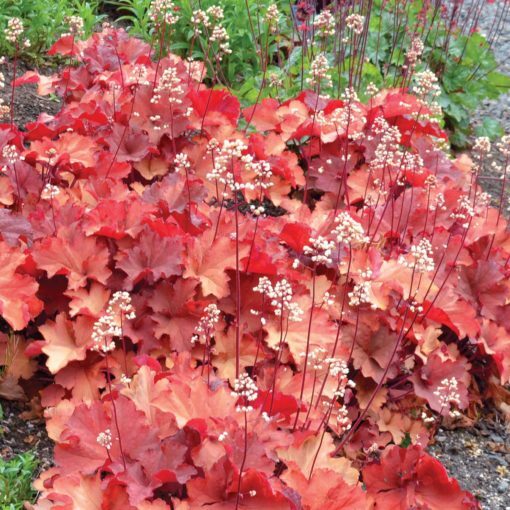 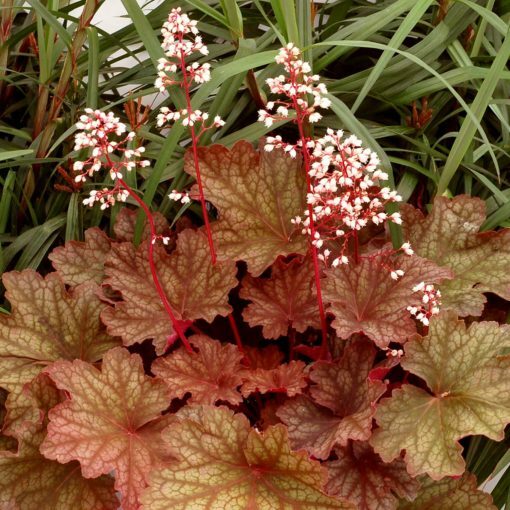 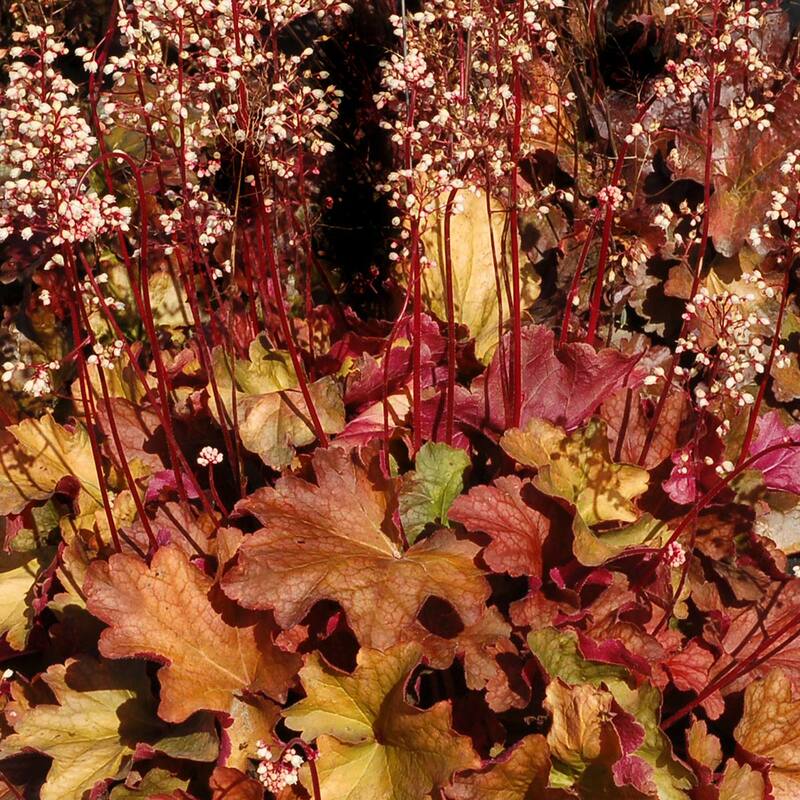 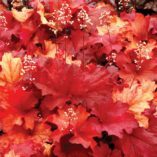 Heuchera ‘Rio’ | TERRA NOVA® Nurseries, Inc.
A multicolored plant named for a vibrant city. New leaves open peach-amber, change to amber, then to tan, and finally to yellow amber. 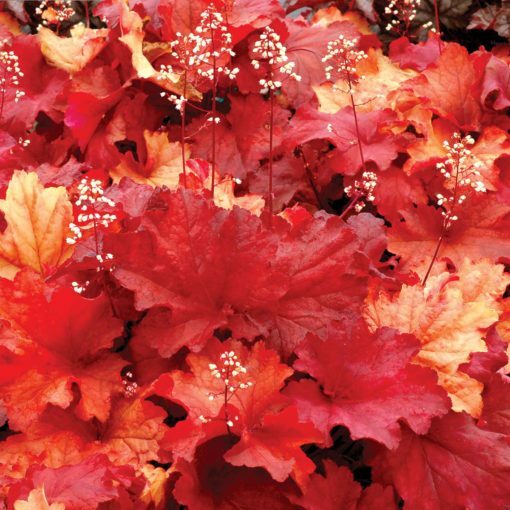 Lovely at every season. Beautiful, short maroon flower spikes with white flowers. 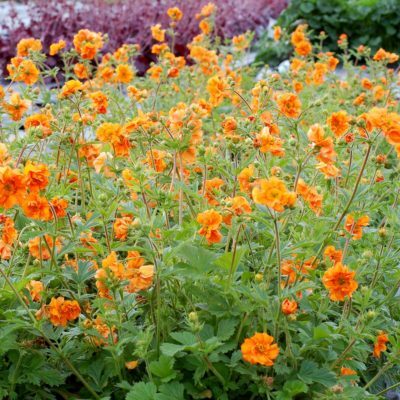 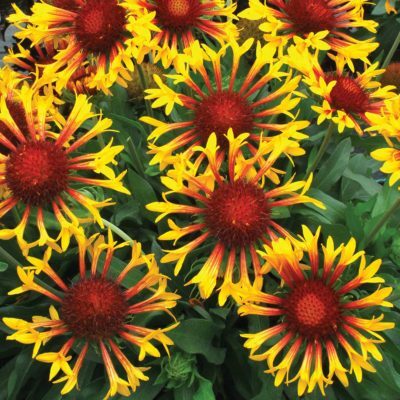 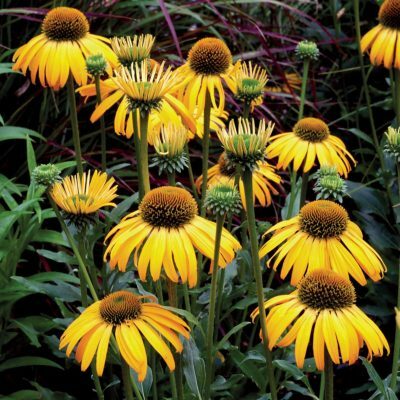 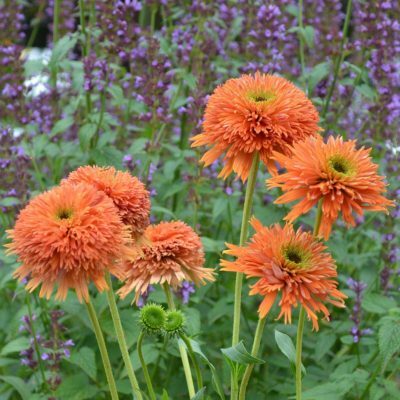 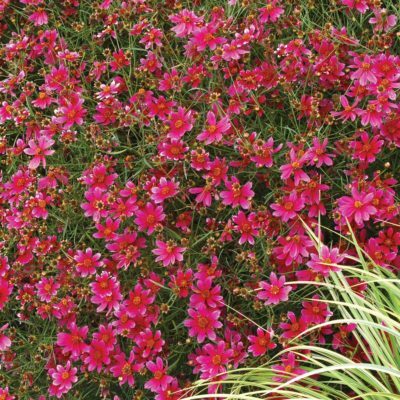 A large and vigorous plant that is a great garden performer and a container star. It doesn't have a great comparison. 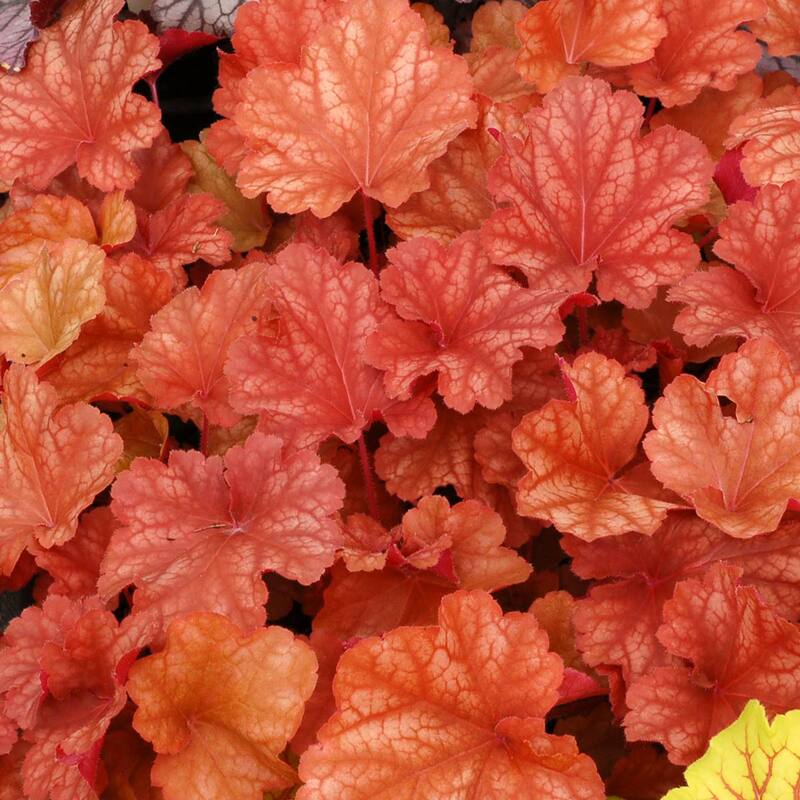 It is a large plant with good size leaves and it great for a the landscape with its multicolored foliage. 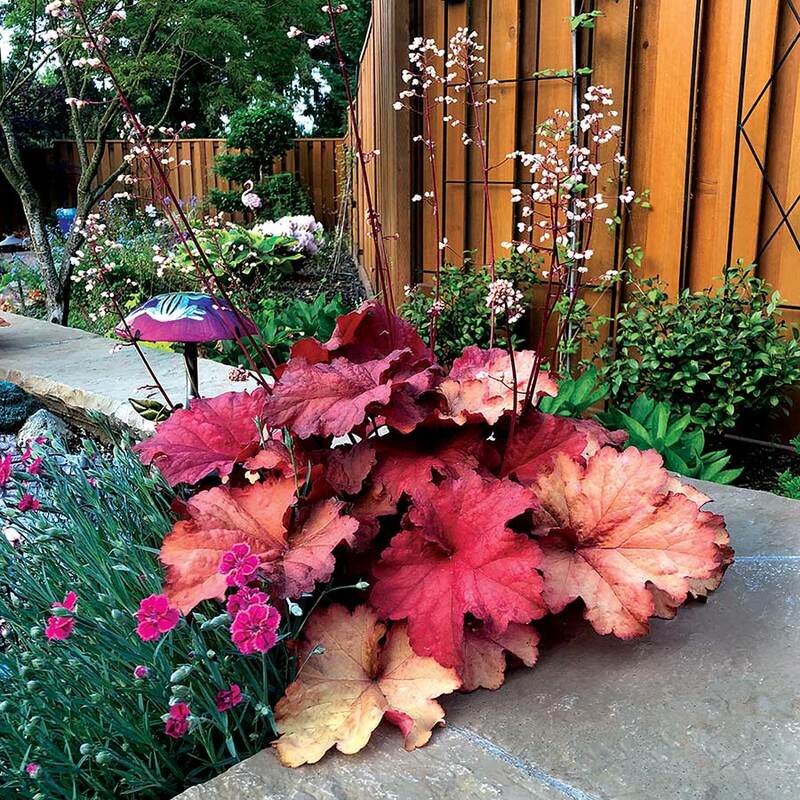 Mass planting, accent, mixed beds, mixed container.